As the first widely published, independent photography critic, A.D. Coleman's writings represent a nearly encyclopedic account of the ideas and arguments surrounding the medium's last thirty years. 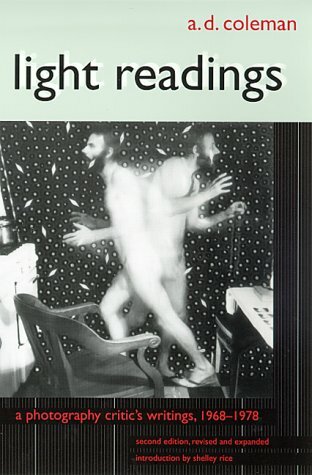 Originally published in 1979, Light Readings chronicled the decade in which photography, having already been acknowledged as a fine art, finally became a popular art, as well. Twenty years later, it is an essential first-person account of the people, ideas, and events as Coleman related them at the time.